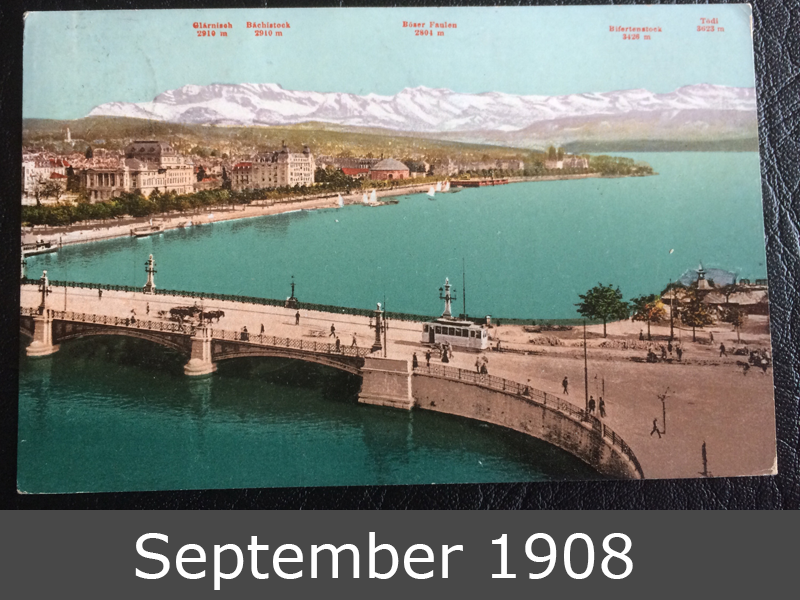 This is the Quai-Bridge in Zurich, Switzerland over the Lake Zürich in year 1908. 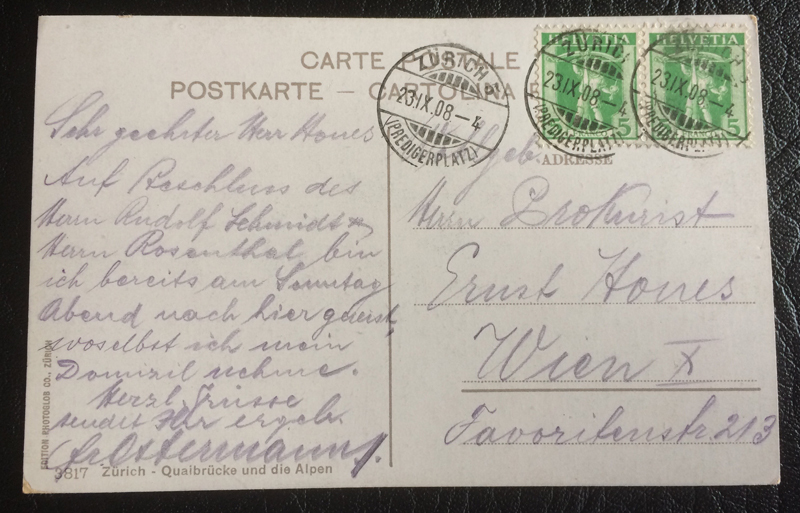 You can see the beautiful stamp “Zürich, 23.IX.08, Predigerplatz”. This postcard goes to Vienna.